During the 2015 growing season Farmer Elizabeth explored new foods that can be grown in New England and this is what she discovered... Mushrooms! Mushrooms are a fascinating crop! Like field crops, they require close attention, have nutritional and environmental needs, and are delicious! However they are unlike field crops in that the growing conditions are completely different, unqiue to the fungus family. With the right climate, they can be grown indoors all year. They are excellent recyclers of waste material, turning indgestible byproducts such as sawdust, coffee grounds, and straw into food. If you start researching the mushroom industry you soon learn about Kennett Square, PA, home to 50% of the United State's mushroom production. Like any other industry, consolidation and intensive production comes with challenges. Read more about Kennett Square in this article by Modern Farmer. As with other aspects of our diet, once you learn about mushroom production you will better appreciate locally grown mushrooms. Most importantly, you will appreciate the freshness! So far we're growing shiitakes and oysters. The shiitakes grow on hardwood sawdust and look like a dark brown button mushroom. 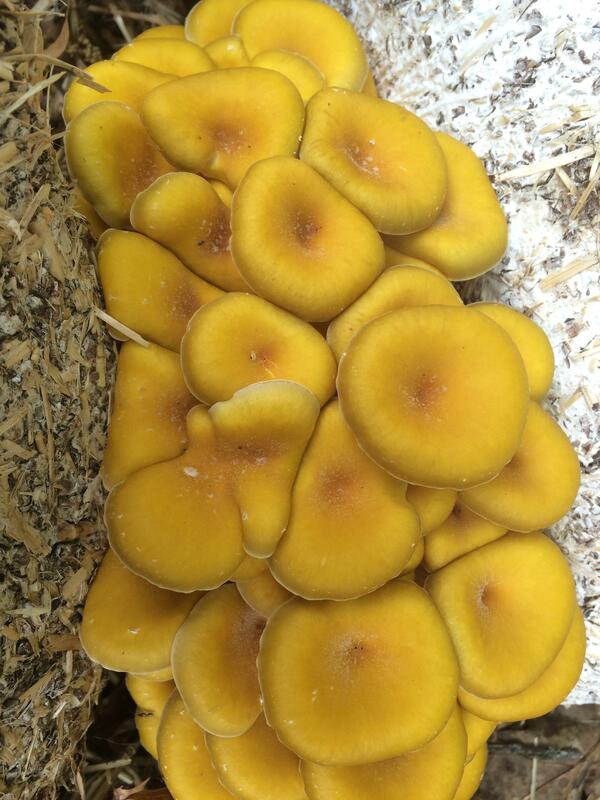 Native to China, these are the flavorful mushrooms used in miso soup and many asian dishes. They are used medicinally and as food. Shiitakes are good when cooked fresh and even better if dried and re-hydrated. Oyster mushrooms are a true delicacy! They are fragile so they do not withstand shipping, which make them hard to find in local grocery stores. They are best consumed or dried within a few days of harvesting. 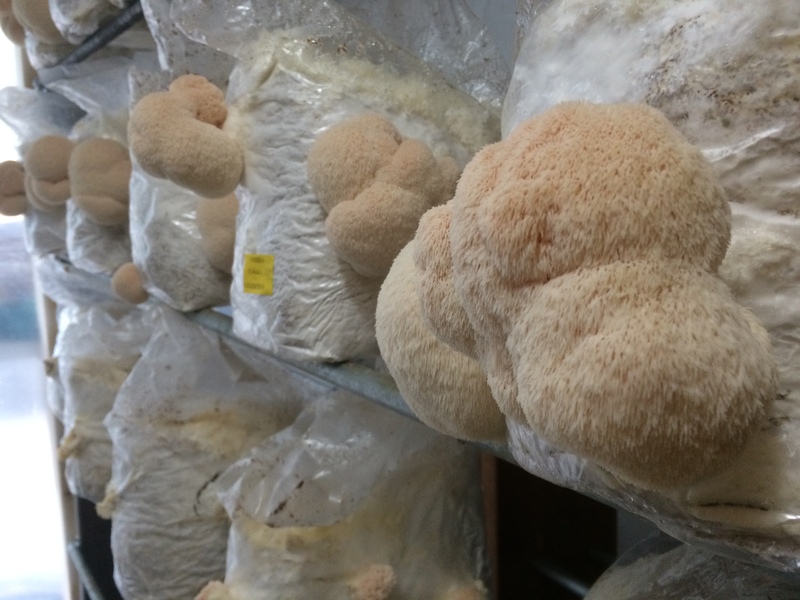 We're currently selling mushrooms to restaurants, farmstands, and the general public. Pleaes join our Mushroom Email List (unique from our general email list because we know that not everyone is a fan of mushrooms!) if you would like to be notified when we have mushrooms for sale. 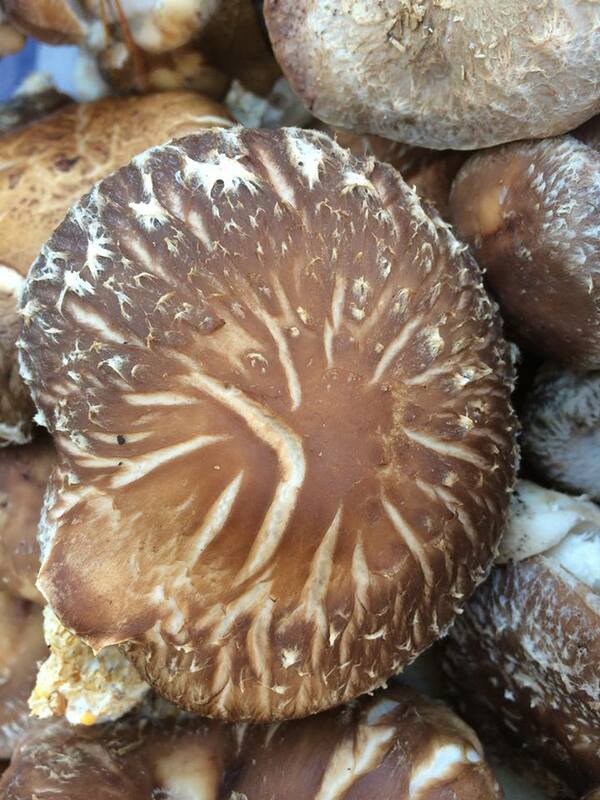 Contact us at 978-496-9606 if you are a restaurant or farmstand looking for mushrooms.